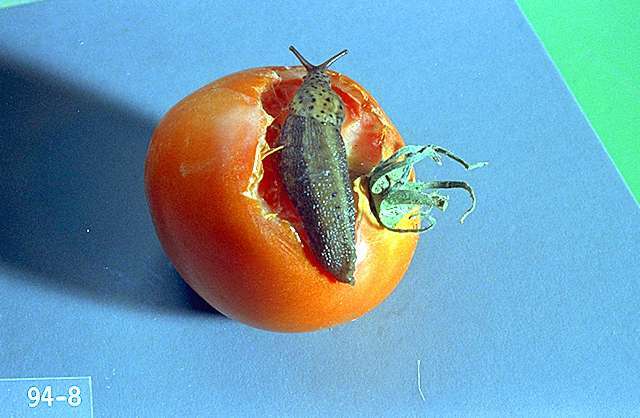 Pest description and crop damage Slugs are related closely to snails but have no shell. Slug damage can be distinguished easily from damage caused by other pests by the presence of slime trails. Feeding damage to foliage is removal of plant tissue between veins and on the edge of leaves. Slug damage tends to be heaviest along field margins. Weedy or grassy borders serve as excellent habitat for slugs. High populations build up in perennial legumes used for cover crops. Biology and life history Slugs are active above ground primarily at night, and also during the day during mild, wet periods, at any time of year. Very little activity takes place in cold, freezing, or extremely hot weather. During the day, slugs usually are found in the soil or in crevices or cracks, to protect themselves from dehydration and predators. Scouting and thresholds Inspect plants for feeding damage and slime trails. Look for slugs on plants during the day when weather is wet, or at nighttime when weather is not cool or windy. For best slug control, bait after the first extensive late-summer rains, which activate the slugs. 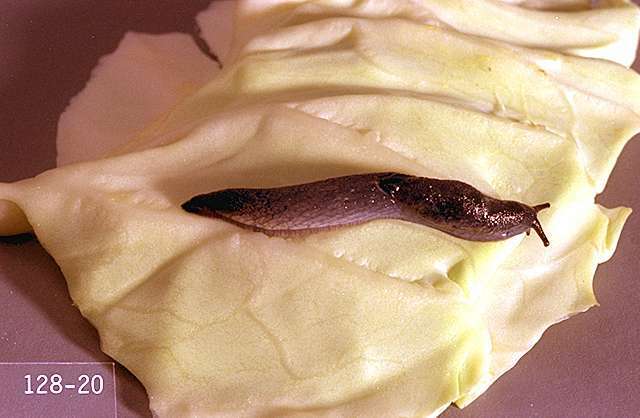 Baiting at this time kills egg-laying adults that would produce slugs next spring. Apply bait on the soil surface around plants. Do not contaminate berries or foliage with slug bait. Encourage predators such as birds, garter snakes, frogs, ducks, and predacious ground beetles. Avoid use of broad-spectrum insecticides which can kill beneficial insects. Clean up weeds and plant debris which may provide shelter for the slugs. Cut tall weeds and grasses around the strawberry planting and clean up rocks, boards, and other shelters with the planting. Home gardeners: Hand-pick and kill slugs when noticed. Trap slugs with shallow containers of stale beer or yeast and sugar solution sunk into the ground. Use chemical baits with caution, as pets can be poisoned. iron phosphate bait-OMRI-listed for organic use. iron phosphate bait (Sluggo)-20 to 44 lb product/a. OMRI-listed for organic use. metaldehyde bait (several brands)-Consult label for rate. Apply in a band between rows and/or directed towards base of the plants; do not apply broadcast over the top of the plants.